As the U.S. economy completes another year of non-recovery, I have become increasingly convinced the policy environment is harmful to the labor market. 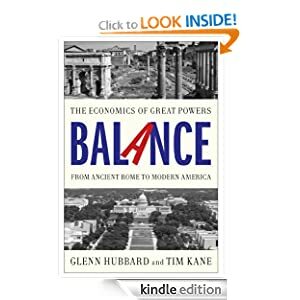 Congress enacted a sharp increase in the minimum wage at the beginning of the recession (41%) and also made unprecedented increases in the duration of jobless benefits, essentially quadrupling them. These distortions to work incentives are just two easily identifiable changes. The myriad pressures from new laws and regulations, notably ACA, are also negative but will be difficult for economists to quantify. The resulting distortions are easy to see, however. 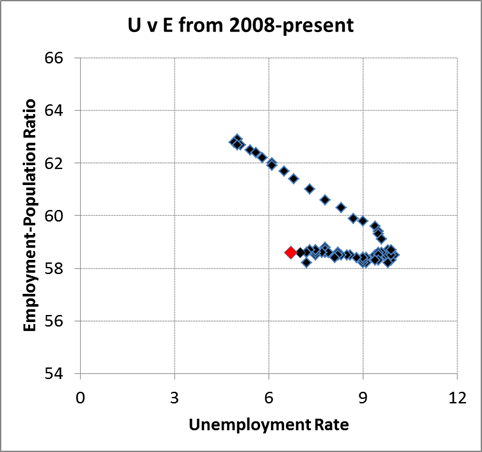 First, recent movements in the unemployment rate are now well-known to be false signals of recovery. The U-3 rate does not count discouraged workers and others who have dropped out of the labor force. 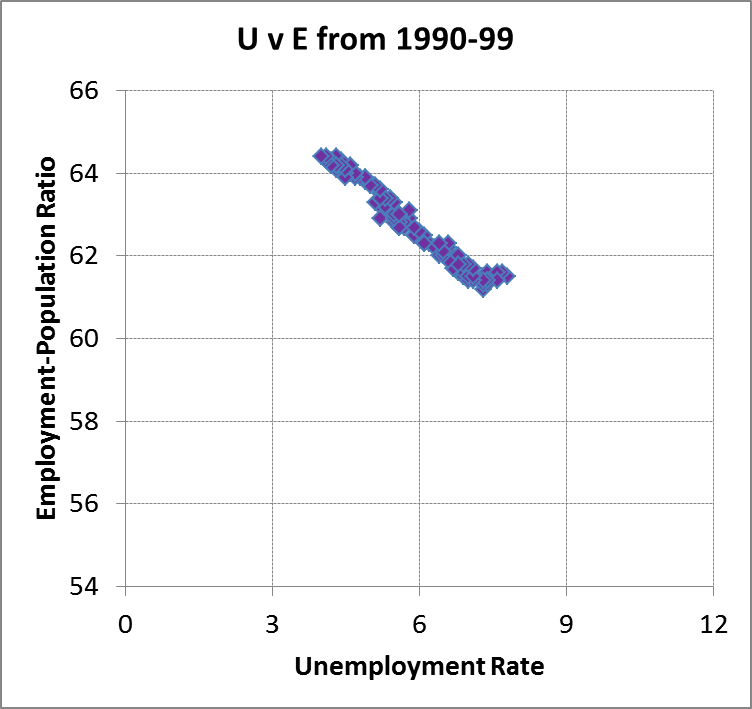 In the charts below, I show a snapshot of the relationship between the U-3 unemployment rate and the demographically neutral Employment-population ratio. I’ll save further commentary until after the charts. Notice that the relationship, shown in a 2-axis scatter, varies as demography shifts from the 1950s to the 1970s (first chart). However, in later decades, the relationship is remarkably stable, until the 2009 “recovery” shown in the final chart. The scatter points in the last chart do move along the traditional line that was steady for 25 years. 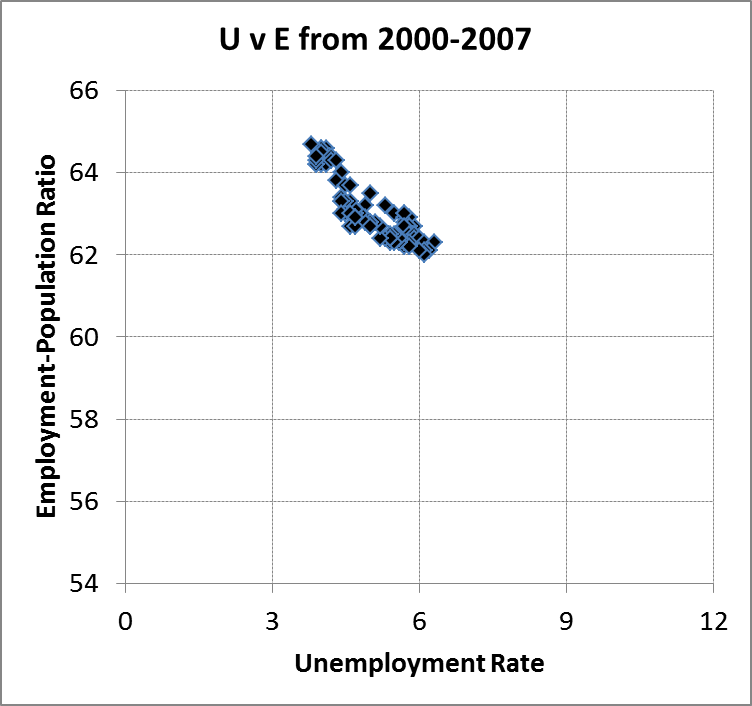 And then in late 2009, the scatter points get stuck in a cluster for a year or more with unemployment at 9.5 to 10, alongside the E-pop ratio at 58.5. After mid-2010, the old normal melts down, as unemployment begins to decline while E-pop holds firm. I find it amazing. And the meltdown is ongoing. Every month in which the unemployment declines while the E-pop ratio stagnates indicates a further breakdown in normal work patterns. I have to wonder if what these pictures reveal is an erosion of culture, for lack of a better term. Wow. We have managed, in a short time, to undo the historic relationship between unemployment and workforce participation. Transformation indeed! The good news is that we only have to look back over the last five years to see what policy implementations have been responsible. Thanks for the info, Tim! 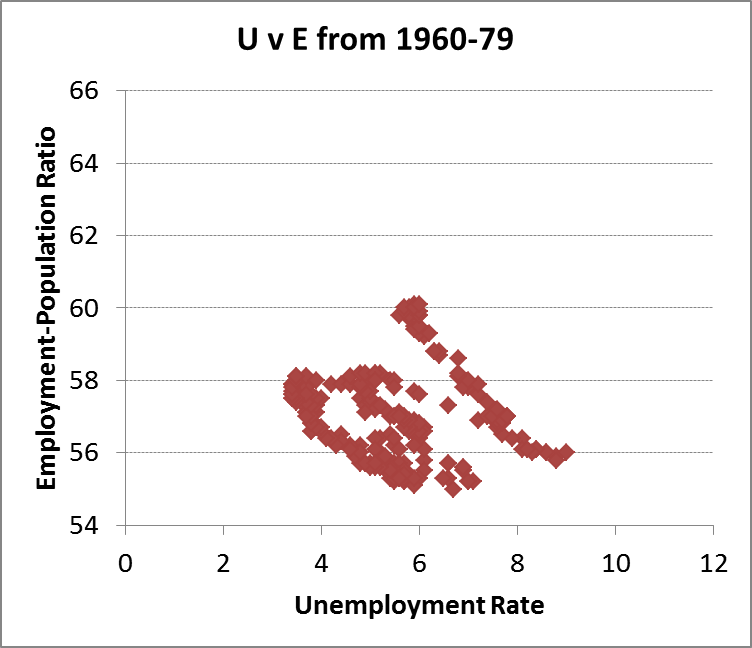 How ’bout a corresponding set of scatter plots of Labor Force Participation Rate vs. Employment-Population Ratio? This is a good idea. Been thinking the same thing, Heywood. I’ll see if I can get that data into a chart. Cool. Curious to see how the behavior (and percentage) of discouraged workers relates to those employed. Regardless, my trust in the BLS has waned greatly since 2009. 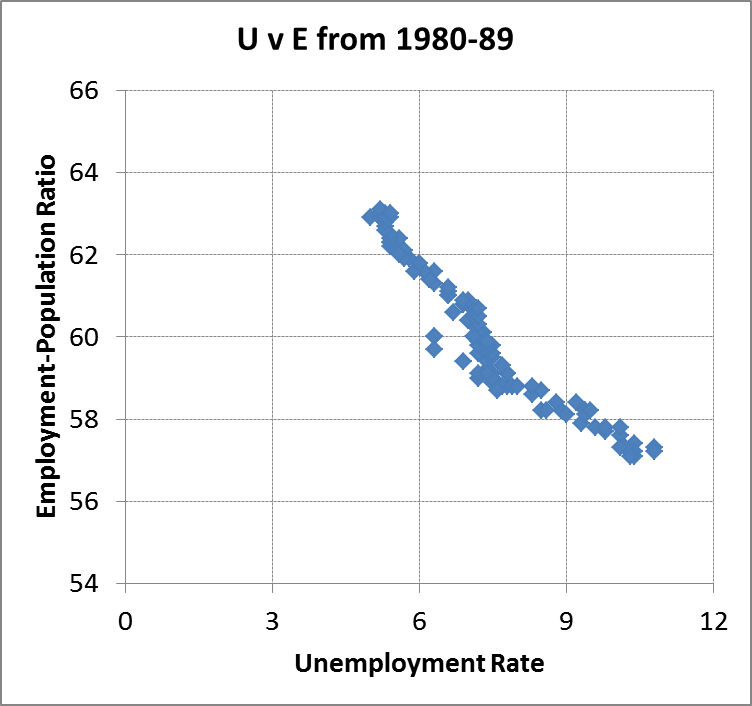 I think they’ve been messing with the U-3 number by tweaking the number of discouraged workers. If they put their thumb on the scale there, what’s to stop them from doing it elsewhere? Do you know of any reliable source for U-3, EmPop, & Workforce Participation Ratio stats from before 1948?